From time to time people ask me whether I consider myself a black woman or a woman that is black. It’s an interesting question and one I find impossible to answer because for me the two are inextricably linked. Yes, I am a woman but my experiences as a black woman are different to that of my white counterparts, therefore I have more in common with some women than with others, as I often say to people when they talk about equality for women. The name for this was coined by Kimberle Williams Crenshaw and is known as intersectionality. This year, the theme for International Women’s Day is gender balance. The saying goes that a gender balanced world is a better and fairer world and this is of course is true. The rise of women is not about the fall of men, neither is the rise of black women about the fall or at the expense of white women. As women we have a duty to support and value each other, our many similarities, but also acknowledge, understand and appreciate our many differences. The joy of being a woman from any background cannot be underestimated, we are wives, mothers, sisters, grandmothers and regardless of background, those things bring us happiness and delight in various measures. We are not only important people in our homes and families but in the work place. Women in the 21st century are told they can do and be anything, yet, we know that for some women it is truer than for others, and for women it isn’t as true as it is for some men. There are more men in senior positions than women, caring responsibilities meaning women are in more part time roles, more women in lower paid roles, women being paid less than men for the same role. This year International women’s day is about balance for better, we all need to pay attention to the fact that we cannot as women achieve equity with men unless they act as our advocates and supporters, we need our male allies. We need men to speak up for the unfairness and inequity in this gap and at the same time we need white women to speak up for their black and minority ethnic (BME) sisters, because across the board BME people earn less than their white counterparts, this is the race equality pay gap. It must be said that we have come a long way with equality issues from the days when women did not have the vote and were expected to stay at home and look after the children. However, as a society we still have work to do and a long way to go. Thankfully stereotypes are constantly being challenged and there is a little more acceptance of difference, however there is still work to be done. Many people need to change their views and attitudes about women working in some roles like being a firefighter, crane driver or builder and, similarly, to ensure gender equity we need to see many more men in traditionally ‘female roles’ like teaching and nursing. Remembering the role of all women in our society during International Women’s Day is positive. But we need to remember that we need men and women of all backgrounds to work together and support each other to gain gender balance and equity. Yvonne Coghill OBE, JP, MSc, DMS, RGN, RMN, HV, CPT, Dip Exec Coaching. Yvonne commenced nurse training at Central Middlesex Hospital in 1977, qualified as a general nurse in 1980 and then went on to qualify in mental health nursing and health visiting. In 1986 she secured her first NHS management job and has since held a number of operational and strategic leadership posts. In 2004, she had the unique opportunity to work at the Department of Health as Private Secretary to the Chief Executive of the NHS, Sir Nigel Crisp. In her three years at the Department, Yvonne held several strategic posts, including Programme Director for the Cleaner Hospitals Programme and External Relations Nursing Officer to the Chief Nursing Officer of England. 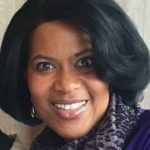 Yvonne is currently the Director – WRES Implementation in NHS England, and is a member of the equality and diversity council at the Institute for Healthcare Improvement (IHI) in the United States where she has helped develop their inclusion strategy, delivered workshops and was co-chair at their national forum in Orlando 2015. She has also been keynote speaker at the National Association of Health Service Executives (NAHSE) annual conference in New Orleans. She continues to work closely with world expert on health and race Professor D. Williams, of Harvard University School of Public Health. Recently Yvonne has used her knowledge and experience of mental health to act as a commissioner on a report commissioned by the Royal college of Psychiatrists and chaired by Lord Crisp on ‘Adult mental health in patient services’ which fed into the NHS England task force review on mental health services in England. In 2013 Yvonne was voted by colleagues in the NHS as one of the top 50 most inspirational women, one of the top 50 most inspirational nurse leaders and one of the top 50 BME pioneers, two years in a row. Yvonne was awarded an OBE for services to healthcare in 2010 and was appointed as Director for WRES Implementation in June 2015.